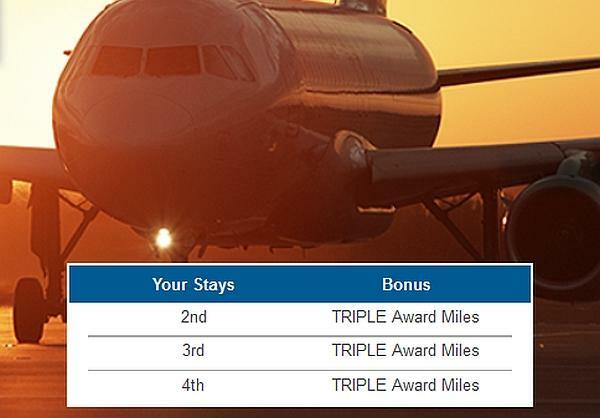 Wyndham Rewards has several airline offers for triple miles for three stays (from second to fourth) between October 15 and January 31, 2014. Note that the number of airline miles that you earn is dependent of the Wyndham affiliated hotel brand and it sometimes varies between the airline programs. You can check the number of base miles that you earn before bonus here. Alaska Airlines, AeroMexico, American Airlines, Delta, United, US Airways & Airberlin. Wyndham may have other airline related offers out there as well, but here are the ones participating to the triple airline miles offer. To qualify for the 2013 Fall “Triple Miles, Kilometers or Partner Points” promotion and earn triple miles, kilometers or partner points, the member must (i) choose to earn a participating partner earning preference in their member profile (ii) register above or by calling 1–866–996–7937, (iii) book two qualified stays between October 15, 2013 and January 31, 2014 (“Promotion Period”) at a qualifying rate with a participating hotel, and (iv) complete their hotel stays by February 3, 2014. Members will receive triple miles, kilometers or partner points starting with their second qualified stay at a participating hotel during the Promotion Period for up to three (3) separate qualified stays (for the second, third and fourth qualified stays) with a maximum of 3 rooms per stay. Each qualified stay includes all consecutive nights at the same hotel, regardless of check-ins or check-outs. Member stays with check-out dates after February 3, 2014 will not be counted towards the promotion. Rates offered by most on-line travel agencies and certain other rates do not qualify. Members should allow six to eight weeks after completion of registration and stay(s) for the bonus miles, kilometers or partner points, to be credited to their account. This promotion is subject to cancellation or change without notice. Void where prohibited by law. Full Wyndham Rewards program terms and conditions apply and can be found at www.WyndhamRewards.com/terms. See www.WyndhamRewards.com for participating hotel brands and locations. Super 8 hotels in China and Howard Johnson hotels in Argentina are not participating in this promotion.